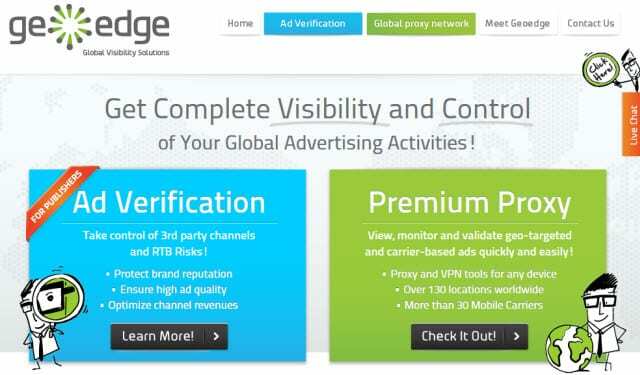 GeoEdge is not a VPN service. Rather they have a large proxy network with access in several countires and DMA’s (designated market areas) in the United States and Canada. The GeoEdge service is aimed at online professionals interested in viewing and analyzing content from different locations worldwide. The GeoEdge Toolbar is available for Firefox and Chrome. You will find that GeoEdge is quite expensive compared to leading VPN services but they target a very specific market compared to VPN providers.